There are many types of SEO services you can offer and running your own websites might even be more profitable. With a wide range of clients you get asked to offer your expertise in many forms, but which ones are the most lucrative? Here are a few potential career choices for an SEO expert to make. Gathering up-to-date SEO knowledge can be a daunting task that requires a lot of time and effort. If this isn't your daily business you can easily lose touch. Working with outdated SEO information can even ruin you. SEO is also a hard profession to learn because it involves so many other fields of expertise. A good teacher is hard to find. Companies should pay top dollar for somebody that can help their team stay up-to-date for both the technical guidelines and possibilities and everything involved in link building. For a single training of about 4 hours you can easily ask between $600 and $1,200. 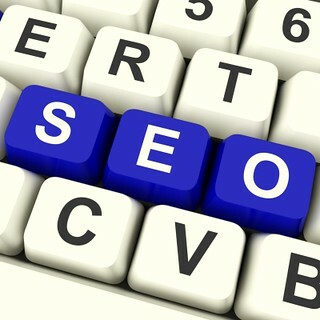 Most companies require at least four of these to get some grasp of the things involved in SEO. An advanced SEO expert can teach to in-house teams, freelancers, online courses, and SEM agencies. An SEO consultant doesn't only teach, but he also provides clear instructions for in-house teams to execute. He checks their execution and directs all the involved tasks and specialized people. Most SEO consultants are mainly technical consultants that work with website builders. A good SEO consultant should also be able offer strategic guidance that is focused on the ROI of unpaid search traffic. Selecting the right keyword combinations, determining what texts need to be added to which pages, setting the guidelines for copywriters, monitoring results, and setting up link building are all the tasks of a good consultant. At this time $150 an hour is a good rate for a broad SEO expert. Most consultants make even more money by selling their consultancy as a fixed fee. Just make sure the client's expectations are clear. Most companies that rely heavily on search traffic have their own teams for the day-to-day SEO tasks. Setting up teams for certain services can often be challenging and there are many tasks they gladly outsource. An elaborate keyword research offers valuable marketing information. When you really want to get to know your audience and when it involves recovering search volume trends, competition levels and conversion rates it can easily take two days to create. Some expensive tools can make keyword research somewhat easier, but a client normally doesn't have access to these. You can easily ask $2,000 for good keyword research. With unpaid search traffic comes a lot of copywriting. This will often be billed on a per page basis. These so called landing pages can be added for each individual keyword. Depending on the quality and length of a page, prices range between $20 and $60. When a client works with some outdated CMS that's inflexible for SEO purposes, it's often smarter to build them a new site or additional section in WordPress, osCommerce or other simple open source platforms. These already take many SEO aspects into account and little customization should be needed. Creating a website in WordPress can range from $5,000 to $500,000. A lucrative business if you use cheap labor. Link building involves a strategic part, but also requires a lot of manual labor. Getting in touch with all those other website owners and convincing them to link to a website is very time consuming. It can easily take an online marketer a day a week to make partnerships and acquire links. Something many companies gladly outsource at $60 an hour. Because link building requires a continuing growth as the competition is active, a fixed monthly amount (often $1,000 a month and up) is probably the industry standard. Conversion optimization comes in many forms and service types. I haven't seen that much industry standardization, but because taking conclusions out of all the available data requires a lot of expertise, an hourly rate of $150 is quite common. All these services seldom come as a one-time thing. That is why many SEM agencies like to sell them in packages. A mix of copywriting, link building and monitoring starts at $1,000 a month, even for SMEs. If that is too expensive, they should rather do everything themselves. All the previous examples show that SEO is often time consuming and expensive for a client. Therefore offering a share of their revenue from SEO traffic allows them to keep the cost within limits and ensures very motivated SEO firms. For the SEO firm it is often smartest to keep a mix of low initial fees and a revenue share percentage that in many cases earns more than a fixed fee. The risk of under achieving should be limited and the influence on the revenue should be large (whatever metric is used). Depending on the margins on a product a 5% fee on all revenue from unpaid search is not uncommon. I've even worked with a conversion attribution model where 50% of all direct and indirect sales from unpaid search got paid. Working for clients is fun, but using your expertise in industries where product fulfillment is easy or where great affiliate programs (or other business models) exist is often much more lucrative. The greatest advantage of working without clients is the freedom and control you have over the perfect SEO situation. Link building becomes a lot easier when you don't represent some big brand and when you can easily start many websites within the same industry. Finding the right industry where the competition still leaves a lot of gaps in their SEO approach and where margins are high is the only hard part of having your own websites. When you need a steady income to get by, start out with the services at the beginning of this article. Once you've made sure you can pay the rent for some time to come, having your own websites is the only chance to become a millionaire from your SEO knowledge.